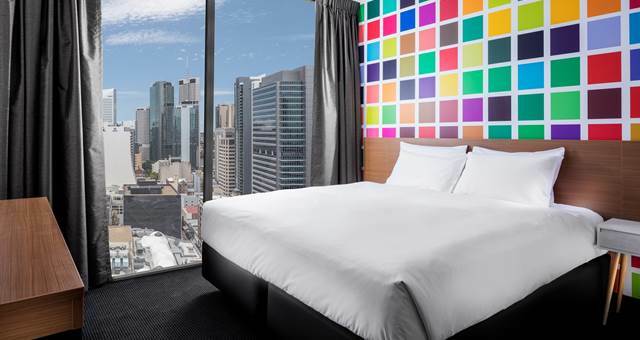 When a brand like W Hotels enters the market, it certainly doesn’t do it quietly. Case in point, W Brisbane invited more than 800 guests to celebrate its opening and to mark the brand’s grand re-entrance into Australia. Cocktails flowed, performers roamed the hotel and pop duo The Veronicas even stopped by for a surprise performance. W Brisbane certainly set the bar high for W Sydney and W Melbourne that are both slated to open in the next two years. 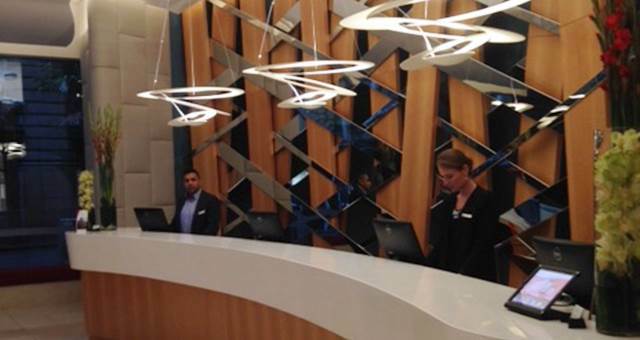 W Brisbane was designed around the hotel brand’s four core “passion points” of design, music, fashion and fuel. “These passion points structure the way we create experiences for guests,” said Anthony Ingham, global brand leader at W Hotels Worldwide. According to Ingham, W Hotels positions itself as an optimistic, forward-thinking luxury brand. “W boldly colours outside the lines of luxury…we’re not confined by the rulebooks and traditional luxury, we view things in a different way,” he said. 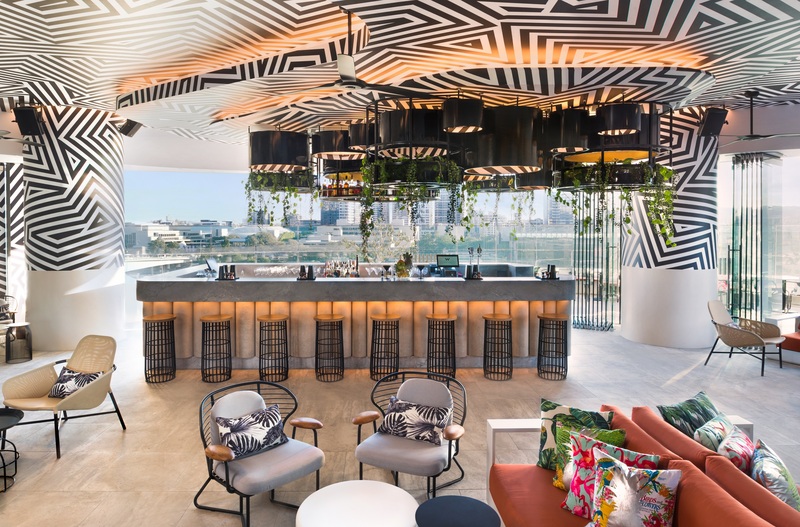 The hotel’s design narrative, ‘River Dreaming’, takes inspiration from the Brisbane River and an Indigenous story about a serpent travelling from the mountains and into the sea. Keep an eye out for artistic interpretations of the serpent on the carpet in the Great Room event space and behind the check-in desks at reception. No detail has been overlooked in W Brisbane’s 312 guestrooms, which feature custom furnishings in signature Queensland style. 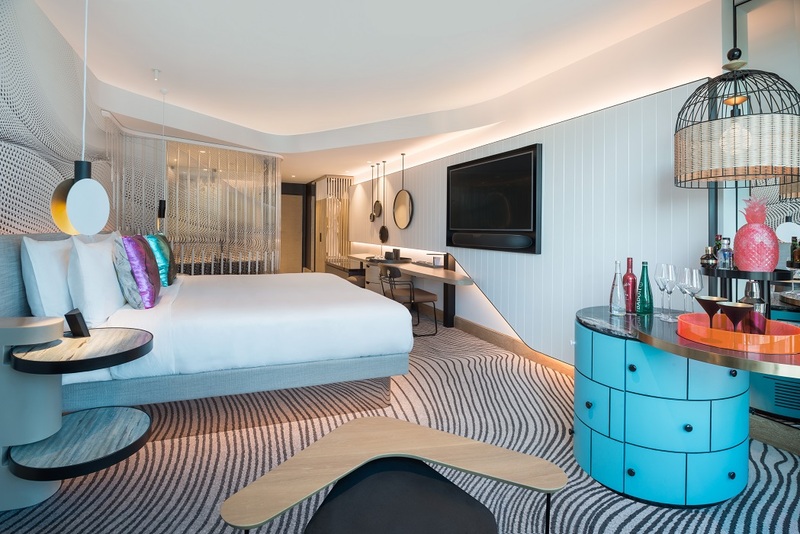 Each room is complete with a colourful W Mixbar, taking the traditional hotel mini bar to new levels with cocktail packs and emergency hangover kits. Lead interior designer Nic Graham designed the blue W Mixbar based on the Australian bush pantry, which was used to store food in outback Queensland homes in the 1940s. Other design elements are woven throughout the rooms, from the playful Australiana décor to the cage-like wooden wardrobe in the middle of the room. The property also boasts 32 suites, including two spacious Wow Suites and the Extreme Wow Suite on level 33. W Brisbane boasts approximately 1100 square metres of meeting and event space, with fully adaptable AV equipment to host spectacular events. 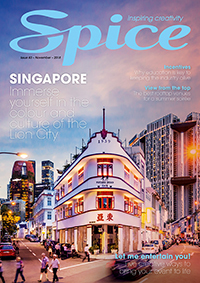 The 595-square-metre Great Room can cater for large productions and conferences of up to 750 guests, or can be divided into three separate spaces for smaller events. The venue also features built-in permanent LED screens, which can be used individually or combined to create one large LED wall for highly engaging content. In-house projection mapping technology brings banquet tables to life with striking creative visuals or corporate logos. 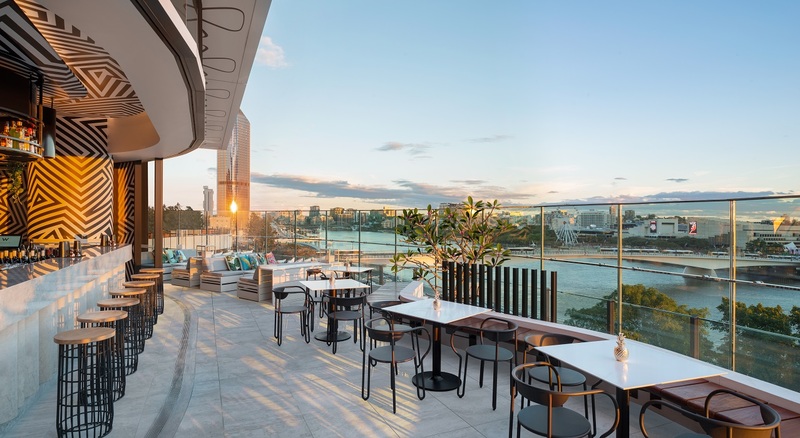 W Brisbane’s Studio and Strategy rooms provide the perfect setting for intimate gatherings and meetings, and feature floor-to-ceiling glass doors opening onto individual outdoor terraces. The event spaces lead onto the Foyer, which includes a wrap-around outdoor terrace and purpose-built bar, ideal for up to 230 guests. Make the most of your stay by dining at W Brisbane’s signature restaurant, Three Blue Ducks, for breakfast, lunch or dinner. Originating in Bronte, Sydney, Three Blue Ducks showcases local, seasonal produce in a laid-back setting. Stop by the Wet Deck for resort vibes and poolside cocktails; you’ll feel like you’re miles away from the CBD. With its outdoor terrace and bar overlooking the Brisbane River, the Wet Deck can also be utilised for events of up to 200 guests.